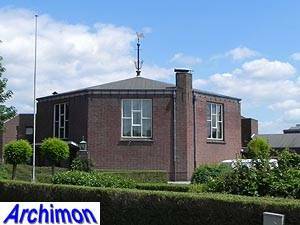 Egbert Reitsma was born in Ulrum on January 19th 1892 as the son of L. Reitsma, a carpenter and contractor who also worked as an architect. 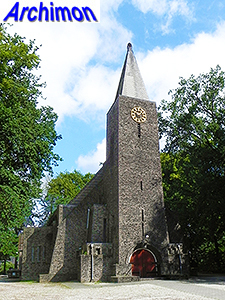 The family belonged to the calvinist Gereformeerde denomination, for whom father Reitsma built a church in Ulrum in 1901. Egbert dropped out of school when he was 16 years old to work for his father. Like his father, Egbert at first became a carpenter and a contractor, but he was also trained by architect L. Drewes for six months. For his further education he attended the Academie Minera art school in Groningen, followed in ca. 1910 by an internship with architect J. London in Hilversum. 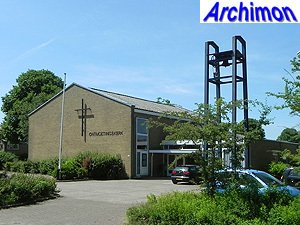 From 1917 until 1920 he was employed by architect W. Kromhout in Rotterdam, where he was further trained as an architect. Although Kromhout offered him a full partnership, in 1920 Reitsma moved back to Ulrum to work for his father. That same year he married and moved to Groningen, where he set up his own architect's office and joined the artist collective De Ploeg. One of his earliest assignments was for a mansion in Haren, a building in Expressionist style built in 1923. This was soon followed by his first church assignment, for Kollum. Reitsma designed ca. 40 churches, mostly for his own denomination, as well as profane buildings and worked mostly in the north-eastern part of the country. Until ca. 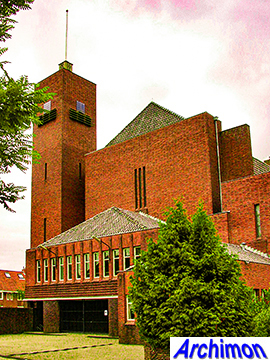 1930 he designed in an Expressionist style, related to the Amsterdam School. 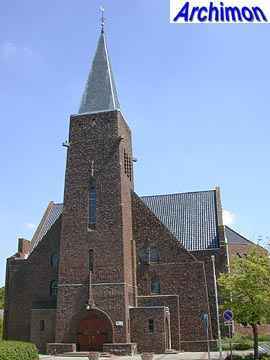 The church in Andijk is a highlight of this period. A distinctive feature of his churches in this period is the use of irregular shaped bricks. After that, his work was influenced by the architecture of W.M. Dudok. An important work in this period is the sanatorium in Zuidlaren. A couple of years before the Second World War Reitsma started to use a style related to that of the traditionalist Delft School. During the first years of the German occupation Reitsma had several assignments, but for most of the war he temporarily quit architecture and started painting. During fighting in 1945 his house was destroyed, and so was his archive. After the war he continued working in Traditionalist style, but later combined it with Functionalist elements. In 1950 his son L.H. 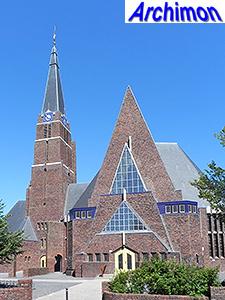 Reitsma became his companion and their churches became more Functionalist in style. Reitsma retired in 1967 and died on the 19th of June 1976 in his private house in Glimmen (Gr). 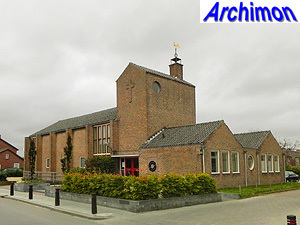 Reitsma had a cousin also named E. Reitsma, who was an architect in Deventer (Ov) and designed several churches as well in the 1950's. The following list covers Reitsma's churches only. It's possibly incomplete. Cruciform church in Expressionist style. Reitsma's first church. Cruciform church in moderate Expressionist style. Church in Expressionist style. Demolished in 1989. Church in Expressionist style. Tower similar to the one in Kollum. 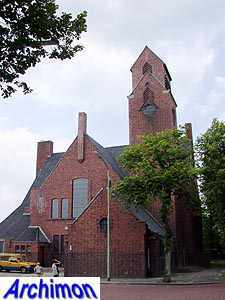 Church in Expressionist style with tall roof. Enlarged beyond recognition in 1939 by an architect Lengkeek. Church in rich Expressionist style. Destroyed by fire in 1968. Large church in richly ornamented Expressionist style. Demolished in 1944 by order of the German army. Temporary church, built out of wood, with turret at the front. Demolished in 1956. Large church in a style inspired by the work of W.M. Dudok. Cruciform centralizing church in Traditionalist style. Addition of an arm and a tower in Traditionalist style. Straight aisleless church in Traditionalist style. Cruciform church in Traditionalist style, with short tower at the front. Church in Traditionalist style. Designed in conjunction with L.H. Reitsma. Church in combined Traditionalist and Functionalist styles. Designed in conjunction with K. Sandburg. Octagonal centralizing church in combined Traditionalist and Functionalist styles. Church in combined Traditionalist and Functionalist styles. Octagonal centralizing church in Functionalist style. Octagonal centralizing church in Functionalist style. Designed in conjunction with L.H. Reitsma. Church in Traditionalist style. Designed in conjunction with L.H. Reitsma. Now a house. Church in Functionalist style. Designed in conjunction with L.H. Reitsma. Bell-gable built of irregular pieces of natural stone. Church in Functionalist style. Designed in conjunction with L.H. Reitsma. Church in Functionalist style. Reitsma's last completed work, designed in conjunction with L.H. Reitsma.